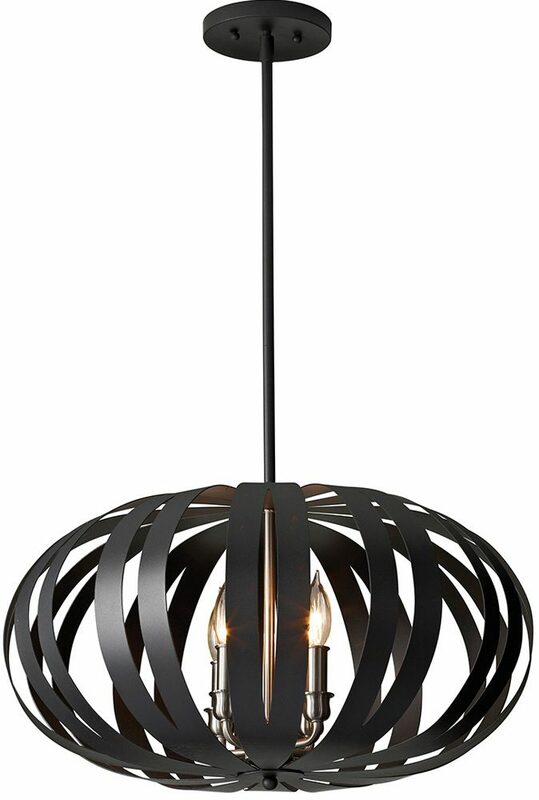 The Feiss Woodstock oval black iron 4 light medium pendant chandelier feautures a banded metal oval cage containing four candelabra lamps and height adjustable rod suspension. This contemporary pendant light has a metal cage finished in textured black, with contrasting brushed steel candle tubes and holders to soften the look. Supplied with four drop rods giving up to 5 height options when being installed. Supplied with three 30cm and one 15cm rods that can be used singly or in any combination to achieve the desired ceiling height, please see the technical information for exact dimensions. A magnificent, contemporary wrought iron ceiling pendant that will be perfect for any modern or traditional room. 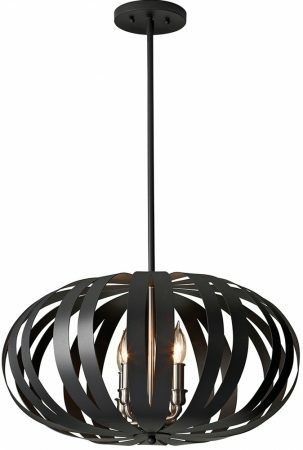 The Feiss Woodstock oval black iron 4 light medium pendant chandelier, designed in the USA by Feiss, founded in New York in 1955. They have become well known over the years for their contemporary yet classic styling, quality and great original designs. Feiss continue to maintain the highest standards in materials and workmanship to this day.